For my frequent readers, it will be no big surprise that I am avid supporter of public transit, especially the railways. 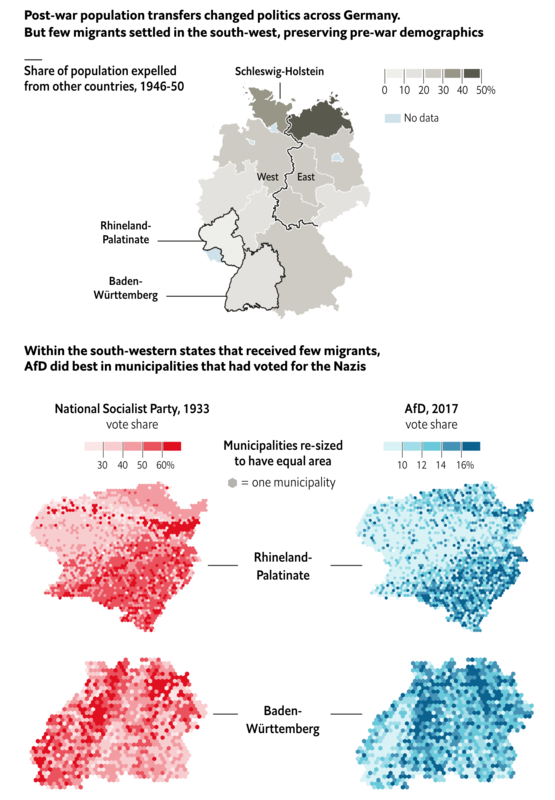 Consequently I was delighted when I read a non-Brexit piece in the Guardian yesterday that looked at public transit systems in several cities. But it did so by comparing earlier plans or systems to those in existence today. That’s definitely one time I’d like to live in the past. Each design is slightly different and reflects the source material for the various cities. But I naturally selected the Philadelphia map. 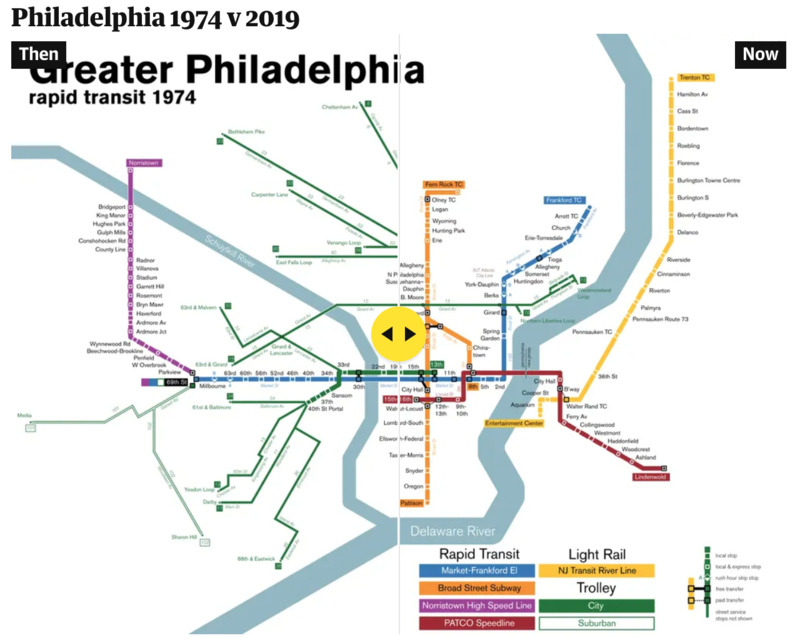 One of the biggest things to notice are the lack of trams/trolleys north of Girard and the addition of the River Line. 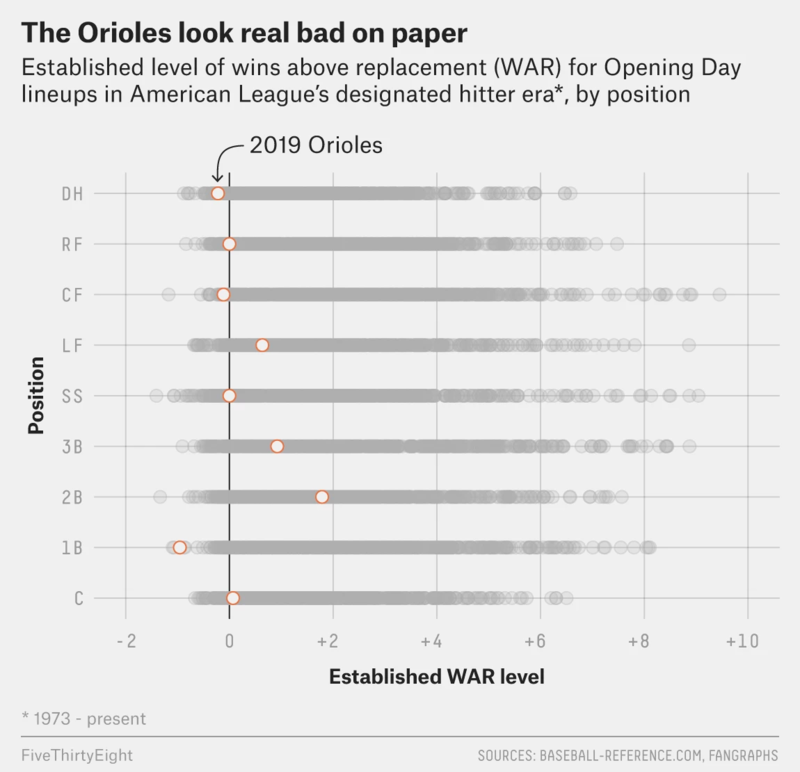 Credit for the piece goes to Jake Berman. 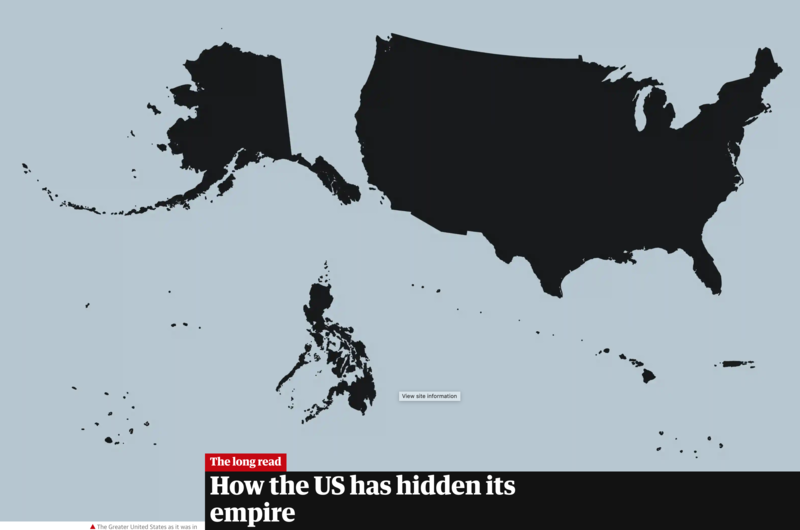 Yesterday I wrote about the failure in a Politico piece to include Alaska and Hawaii in a graphic depicting the “entire” United States. After I had posted it, I recalled an article I read in the Guardian that looked at the shape of the United States, using the term “logo map”. 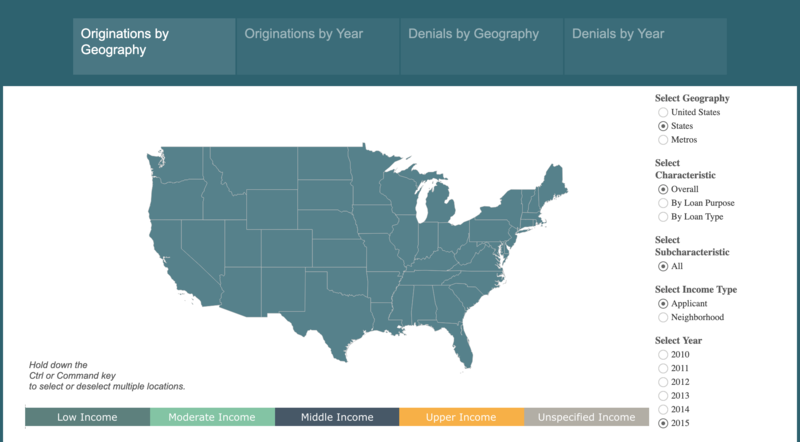 It compared what many would consider the logo map to the actual map of the United States. I warn you, it is a long read. 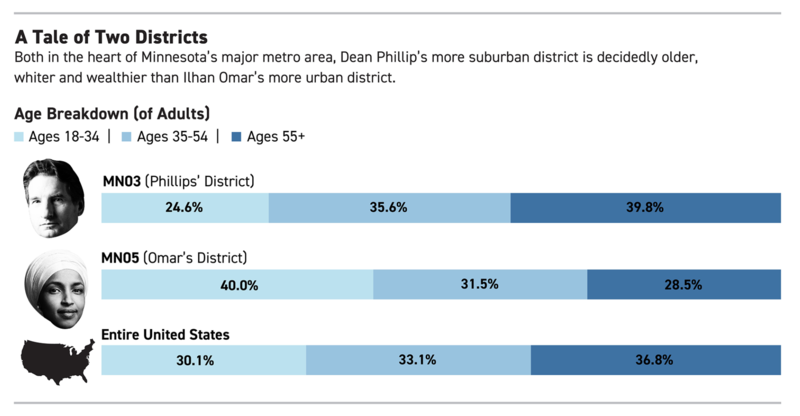 But it was worth it to try and reframe the idea of what does the United States look like? 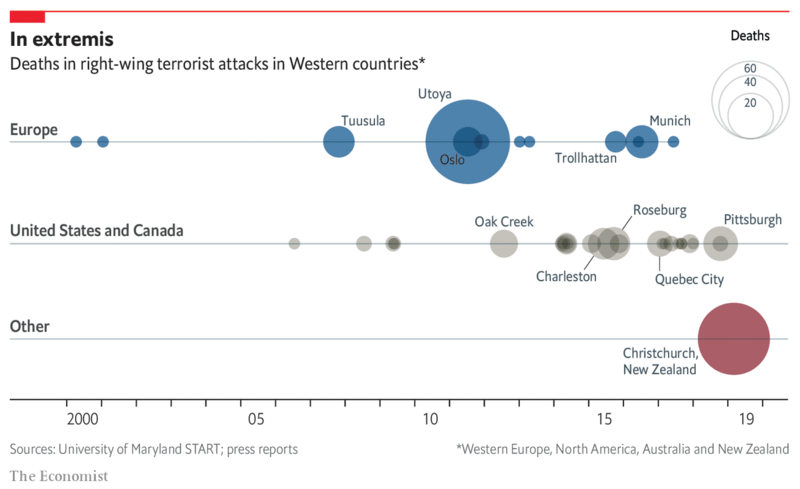 Credit for the piece goes to the Guardian graphics department. It is Monday, so it must be another Brexit vote day. And today we have Indicative Vote Day 2. If you recall from last week, the House of Commons wrestled control over parliamentary business away from the government and created a two-step process to try and see if any alternative to Theresa May’s Brexit plan can receive a workable, sustainable majority in the House. The first step went about as well as could be expected. Nothing received a majority, but a customs union and a confirmatory vote by the public on the final deal both came very close to a majority: 8 and 27 votes, respectively. Likely, the vote today will be on those options. But one reason for this lack of majority is that the idea of Europe has always fractured the Conservative Party. 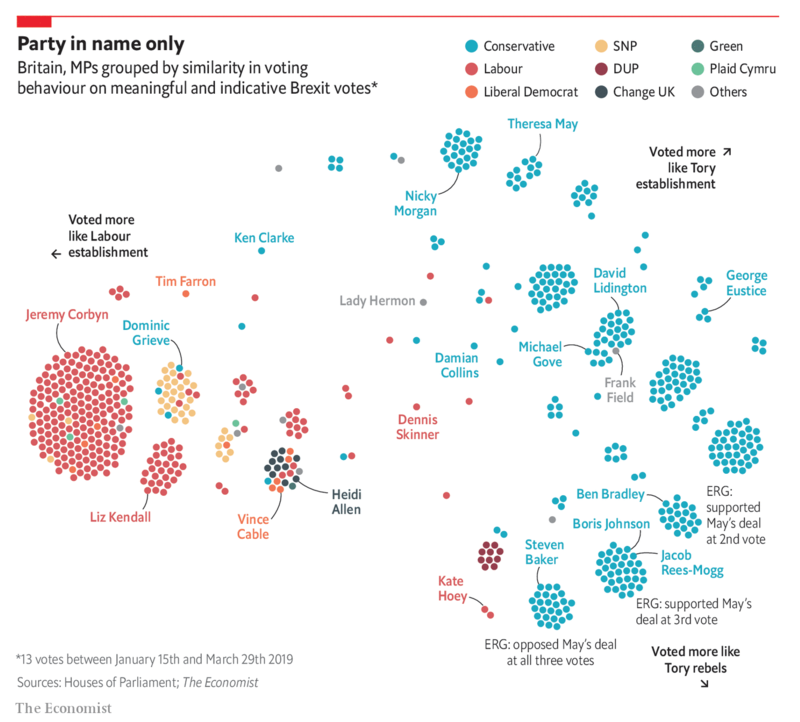 And in a recent piece by the Economist, we can see just how fractured the Tories have become. Maybe a little bit counterintuitively, this plot does not look at an MP’s opinion on Brexit, but just with whom they are more likely to vote. The clearest takeaway is that whilst Labour remains relatively united, the Tories are in a small little divisions across the field. In terms of design, there is not much to comment upon. It is not a scatter plot in terms of the placement of the dots does not refer to Brexit opinions, as I mentioned. It is more about the groupings of MPs. And in that sense, this does its job. Information design has largely settled on a few key forms to communicate data. One is the error bar. 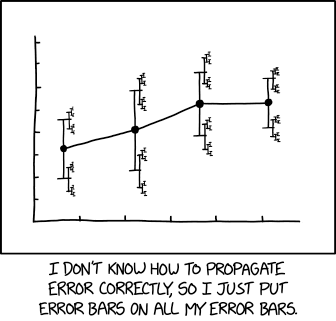 But xkcd explores what can happen when we take error bars…to infinity. We made it to Friday, everybody. Although for me it, was a short week. I spent the last week on holiday in Ireland to celebrate St. Patrick’s Day. And that meant I took a lot of photos. And I mean a lot. But the question when taking a photo is, in which orientation should I take the shot? A few times people would ask me to take their photo and I would take them both vertically and horizontally. 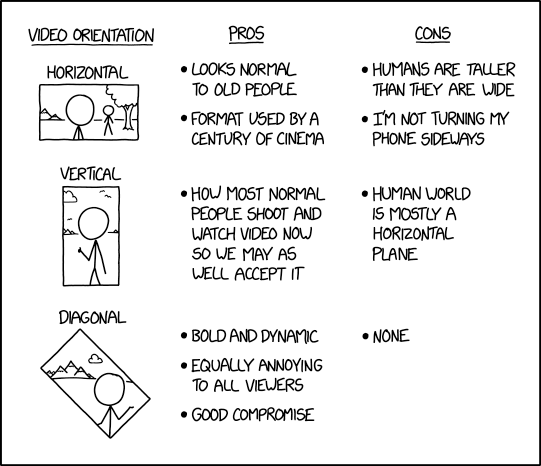 Well, thankfully, xkcd has us all set with a guide to shooting video by orientation. It’s easiest with dynamically rotating televisions for video playback. I have to admit, I definitely took one or two diagonal photos.